Knowledge Management International (KMI) is the premier knowledge management and management skills solutions-based consulting, training and research organization within East and Central Africa. KMI delivers corporate training and consulting services, coaching, and workshops. In partnership with more than 100 organizations worldwide in all industries, KMI is a leader in organizational effectiveness and transformation. KMI assists organizations transform the knowledge in their possession to add value to the organizational processes, operations, decision making and improvement on the bottom line and return on investment (ROI). KMI provides quality consulting services to organizations and individuals through identification of challenges and opportunities, design and development of skills oriented training programmes in management, Information management, digital marketing and entrepreneurship development. Our management facilitators and consultants have decades of experience transforming people and performance in leading organizations around the globe. We support organizations in becoming thriving places to work, connect and succeed. We achieve these outcomes by tapping into managers’ leadership strengths, growing their communication skills, & deepening their professional resilience. 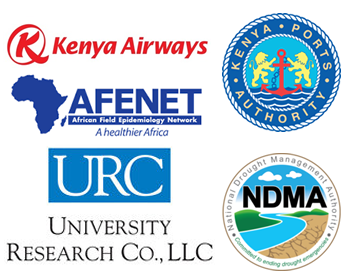 Our thought leadership and expertise has been instrumental in driving Knowledge Management practice in East and Central Africa, assisting many organizations with their KM strategy development and implementation and providing knowledge and insights. KMI professionals hold the highest standards and responsibility to ensure accountability to the commitments that we make to our clients, adopting creative solutions in tailor-made approaches for each organization.